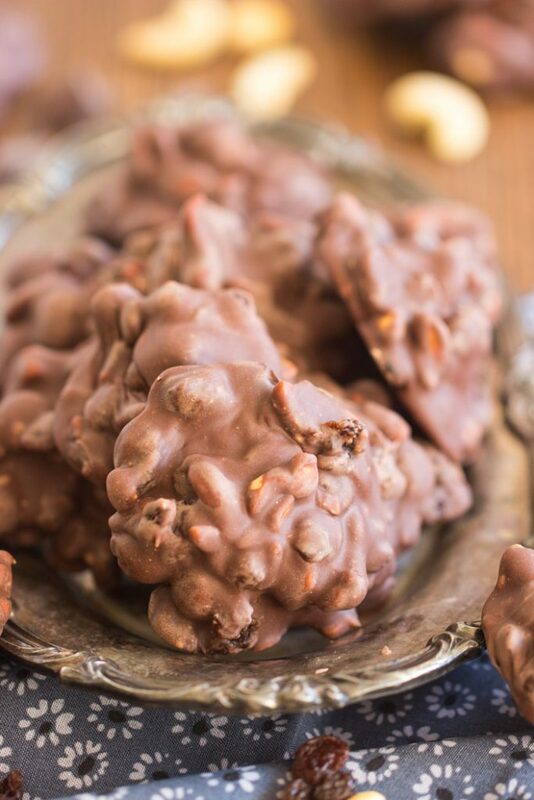 A few simple ingredients come together to make a candy that is anything but ordinary! 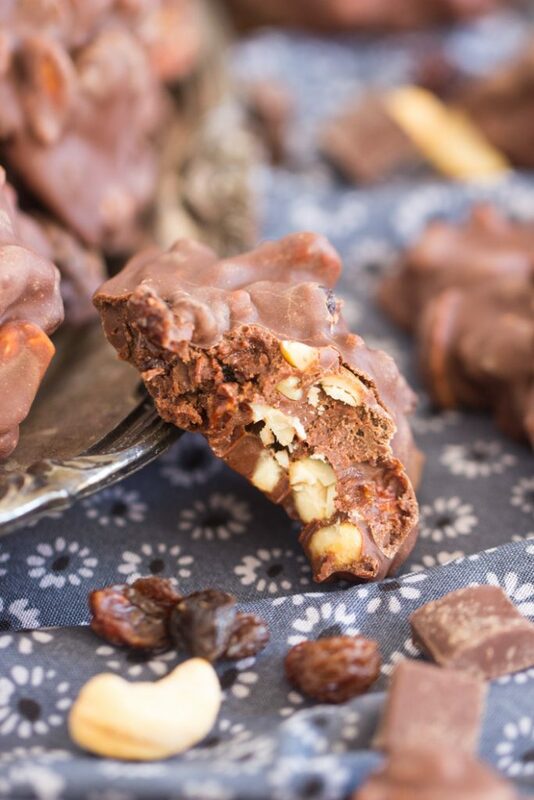 These Raisin Cashew Fudge Drops take minutes to prep, and are just a few ingredients, but are mind-blowingly awesome! 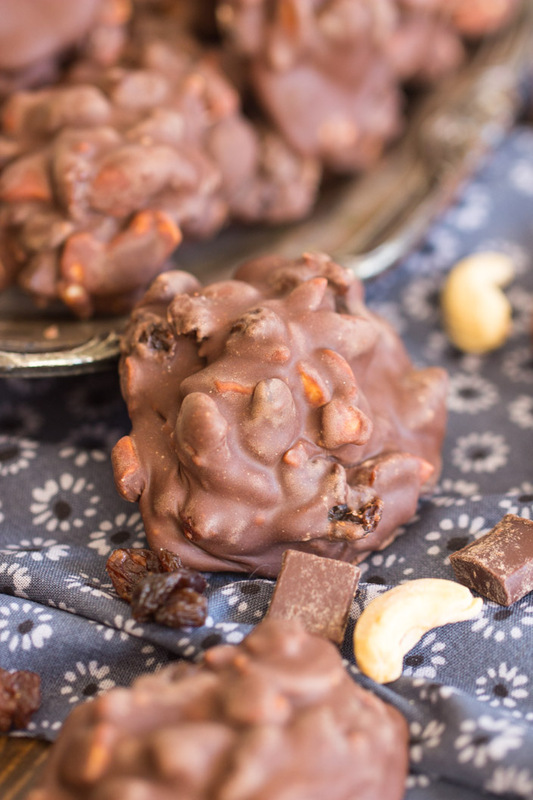 Fair warning: these Raisin Cashew Fudge Drops are addictive. 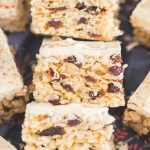 These Raisin Cashew Fudge Drops jumped out at me in a magazine recently, and I couldn’t wait to make them. 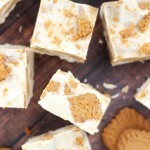 I have such a lengthy list of things I want to make, and yet these managed to jump to the top of the list. I couldn’t wait. 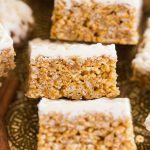 I think they called out to me for a few reasons, but primarily that they’re so incredibly simple, quick to make from start-to-finish, but also that each ingredient is well-selected and well-represented! Just a few simple ingredients and a few easy steps to make up an exceptional candy. Funnily enough, I don’t even like raisins, but there are two exceptions: in oatmeal cookies, and when doused in chocolate. Those are the only two scenarios where I like raisins. UPDATE: I lied when I pre-wrote this a month or so ago. I guess I do like raisins in more instances than I realized. See: My Gma’s Raisin Puffs, these Oatmeal Raisin Rice Krispie Treats, and this Oatmeal Rum Raisin Pie. Give me an ultra-chewy, super buttery, thick oatmeal cookie, and I’ll want it to have a ton of raisins (um, or butterscotch chips). When I’m at a grocery store that has a nice bulk foods section and I spot chocolate-covered raisins, I cannot resist stocking up. There’s something super addicting about those little devils. Anyway, with these Raisin Cashew Fudge Drops…. I love chocolate-covered raisins, so throw in my favorite nut?? I’m totally in. It’s not just raisins and cashews coated in melted chocolate…. no, it’s actually fudge! 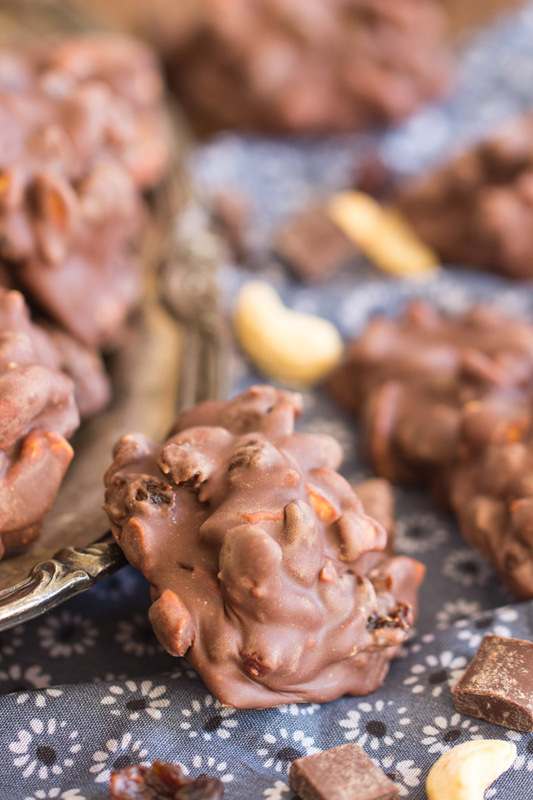 The raisins and cashews are nestled in pools of fudge. 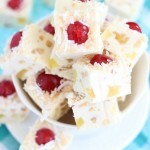 It’s a ‘quick fudge’ – that’s what I call it anyway (all fudge is kinda quick though so, I don’t know why I do that)… milk chocolate chips melted with sweetened condensed milk – it’s the easiest way to make fudge. This Nutella Fudge is a good example of how it works! ‘Quick fudge’ is also what fills the center of these White Chocolate Fudge Puddles and these regular, classic chocolate Fudge Puddles. 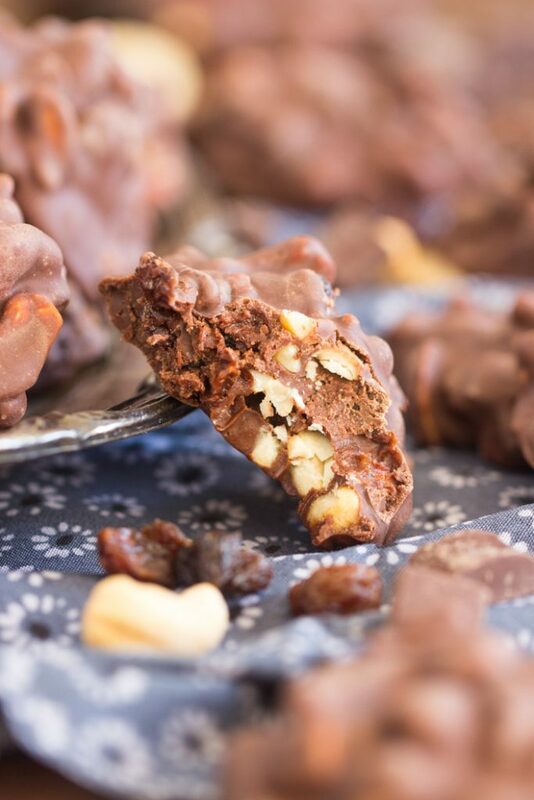 These Raisin Cashew Fudge Drops are fabulous because you can prep the candy in sheer minutes, and they set up quickly too. 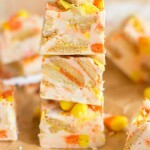 One of the easiest candy recipes you’ll ever find, and jam-packed with delicious stuff! 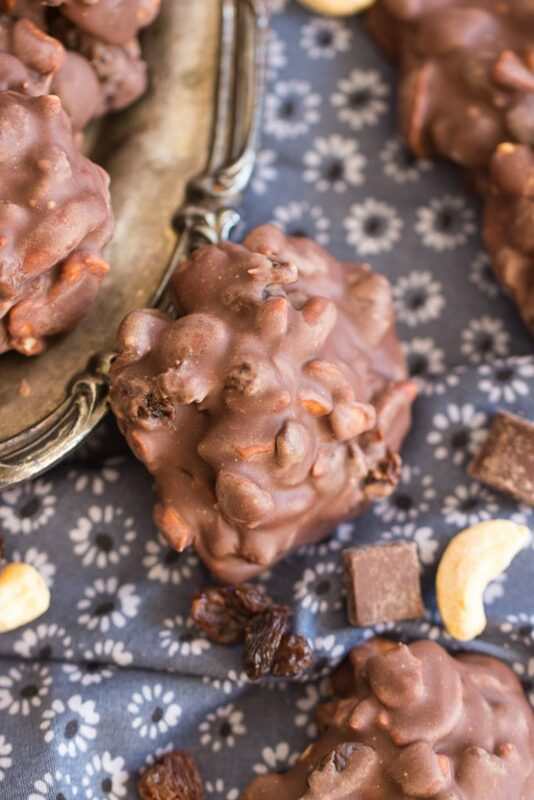 If you find yourself needing to pull together a dessert in a short amount of time, these Raisin Cashew Fudge Drops are an excellent option.